I haven't been hooked on a Pokémon game since Heart Gold and Soul Silver in 2010. I started to play Pokémon Black about a year ago, which has an amazing story, but I think the lack of familiar Pokémon made me less excited to "catch 'em all." For the story alone, I do want to go back and finish Pokémon Black, and I might grow to love those new little monsters they introduced in that game. My current obsession, however, is Pokémon X for the 3DS. I wasn't actually going to buy this game, since I wasn't necessarily hooked on the last game, but during the entire month of March, Nintendo was giving Pokémon X and Y away to customers for FREE (That's a $40 value)! I literally found out about this Club Nintendo promotion on the last day to register for it. Between March 1st-31st, if you registered your 2Ds, 3Ds, or 3DS XL with one of 6 qualifying games cartridges, you got a code to download either Pokémon X or Y for free. Looking at the list of games, I actually owed one of them. So after work last night, I immediately got online to register my Nintendo products, and got the code to download a digital copy of Pokémon X. In previous Pokémon games, the characters are little sprites moving in 4 directions only. 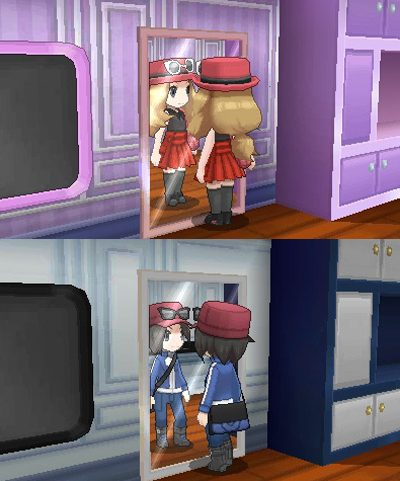 Pokémon X and Y uses a 3D environment with actual 3D characters that can freely move around the world in any direction. I was very skeptical about the transition to 3D graphics, but they pulled it off. The graphics are gorgeous, and way more impressive than I ever expected. 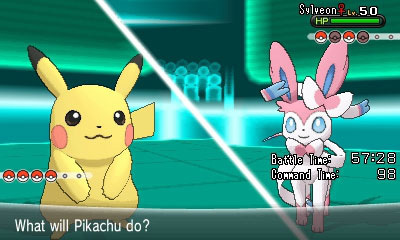 This is also the first Pokémon game that allows you to customize your characters appearance. At the start of the game you select your hair and skin tone, and later in the game you can change your clothing and hair style. 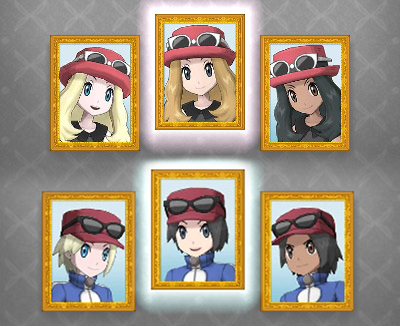 Previously if you played Pokémon with any of your friends, all your characters looked exactly the same. They were a girl or boy, and that's it. Now you can personalize your characters avatar, and give them a bit of personality. The 3D battles with fully animated attacks are pretty impressive. While you're in combat, your friends can also send your Pokémon boosts called O-Powers. I was in my first wild Pokémon battle, and my husband (who was playing Pokémon Y) sent me a healing boost on the spot. Another cool feature of the game allows you to quickly battle or trade Pokémon with your friends via wifi at anytime, without having to be at a Pokémon Center. This significantly enhances the social community of the game. The pace of the game seems a lot quicker as well. You get your starter Pokémon, Pokédex, and start catching Pokémon before you even meet the Professor for this region. I personally like being able to get right into the game action. I also love the fact that the classic Pokémon are back along with new X and Y Pokémon. I've only played the game for an hour, and I haven't learned about all the new features Pokémon X and Y has to offer, but what I've seen so far, I love it! I'm excited to play this game through to the end, get all the Gym Badges, and beat the Elite Four! If Nintendo hadn't had the Free Download promotion, I probably would have overlooked purchasing this game for at least another year or so, but I'm glad I own it now. Pokémon feels brand new again, but it still has that classic and nostalgic feel to it.